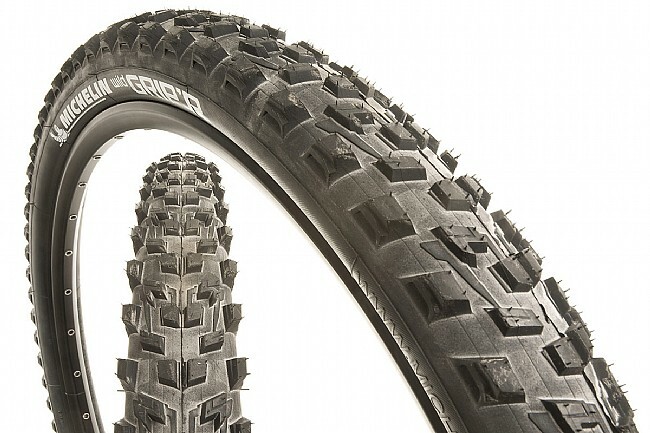 Now available for your 650b rig, Michelin's Wild Grip'R Advanced delivers tubeless compatibility with a tread design that shreds in almost any terrain. 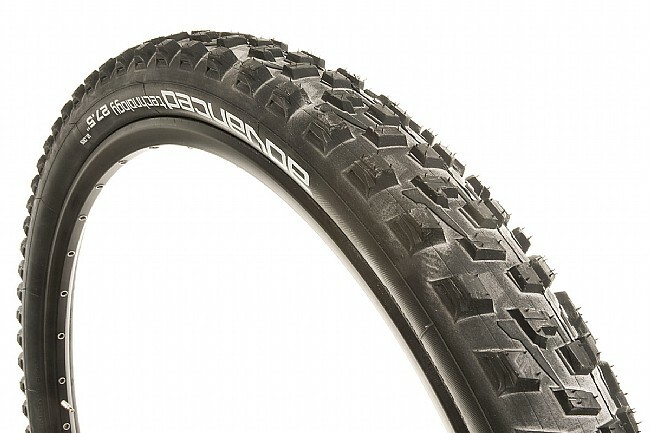 An optimized arrangement of knobs across the width of the tread allows for both rolling efficiency and progressive cornering. More aggressive shoulder knobs help you lean the bike with confidence, while square center knobs are positioned close enough together to roll quickly, yet spaced wide enough to promote mud shedding. This Advanced model features a top quality 110 TPI casing, and the Gum-X dual compound for an ideal combination of rolling resistance, grip and longevity.